Saturday morning, you pull up to the local lumber yard with your list of supplies needed to finish the deck, replace those busted sprinkler heads, or whatever you have been putting off for months. 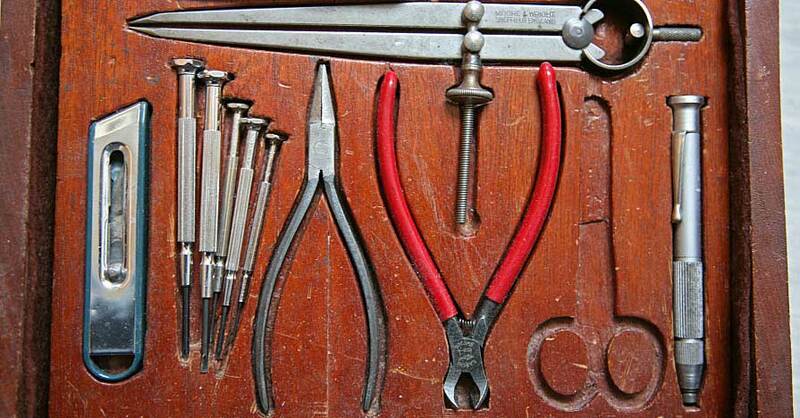 Your shopping cart is loaded down with tons of home-repair goodies. 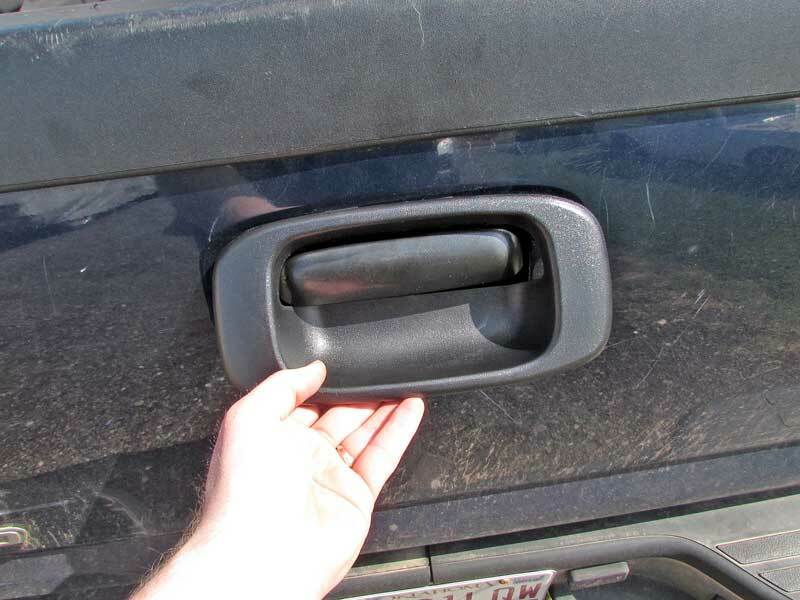 You reach for the handle on the tailgate of your truck and bam, nothing. What? Why did that not work? 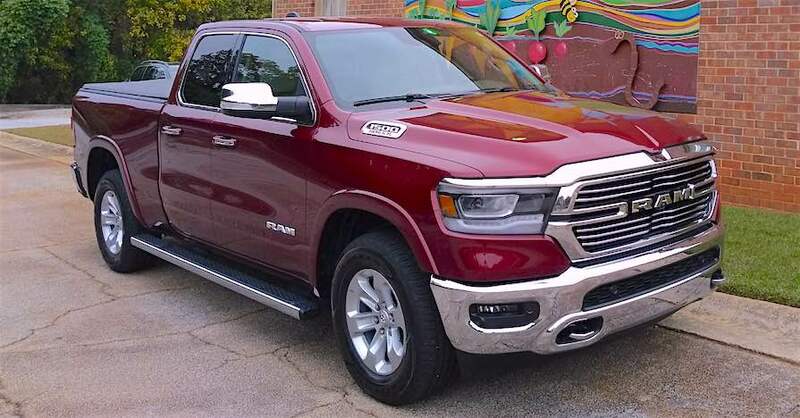 The handle’s reason for being in this world is to open the tailgate. So, of course, you give it a few more tugs to no avail. Sure enough, the dang this is busted, kaput, no longer viable as a tailgate handle. But don’t worry, we are about to teach you how to fix a tailgate handle. 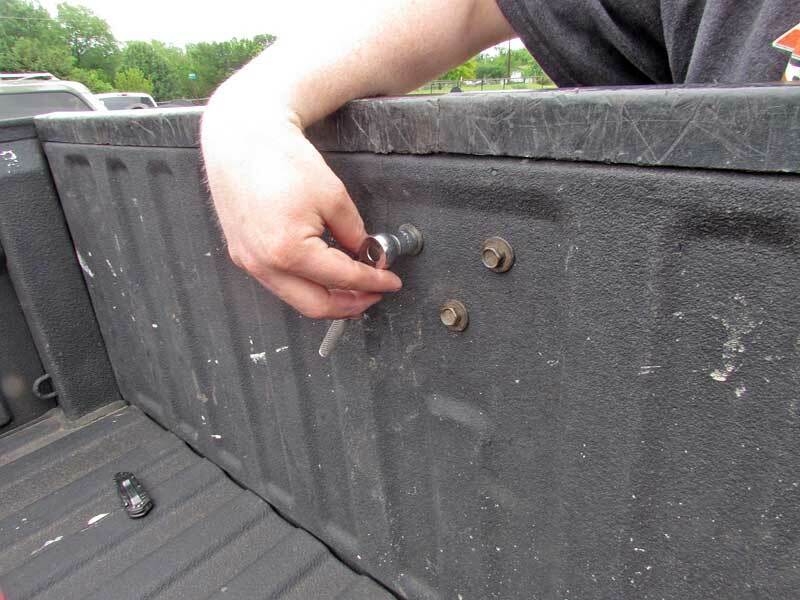 The tailgate handle n this 2002 Chevy 2500 HD is not working, so we need to pop the cover off and take a look. This can happen on any truck, but it doesn’t have to. 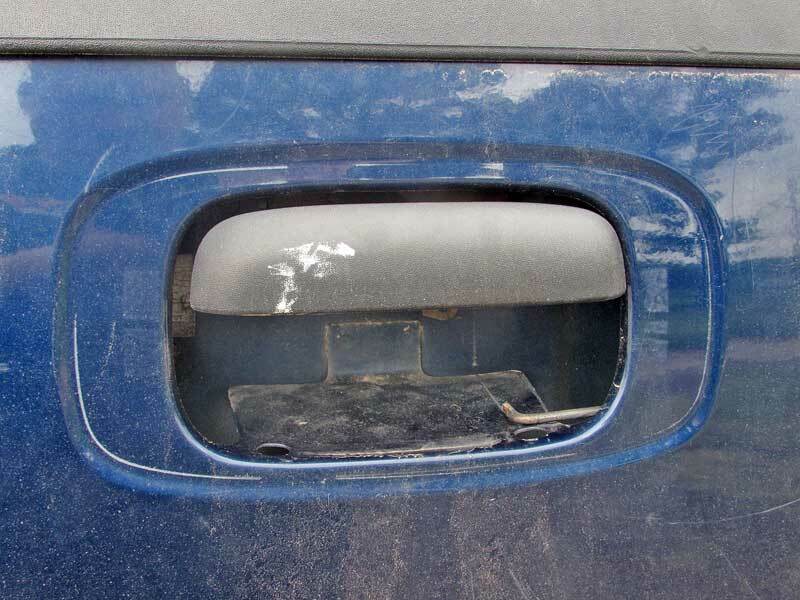 The tailgate handles is not the issue here, it is actually the latches themselves. There are two latches, one on either side of the tailgate. Over time, these latches get coated with dirt and rust. 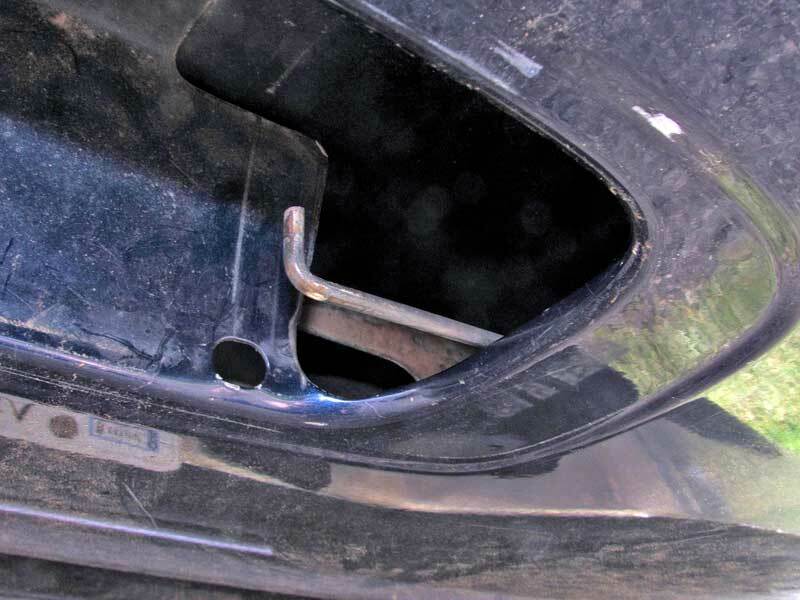 When the lubrication is gone and the latch sticks, the increased effort required to open the tail gate stresses the cast iron arms on the handle. Put too much stress on these arms, and they break, leaving you with a busted tailgate. The plastic arms were intact, it is common for these to break. Unfortunately, this truck has a broken handle mechanism. Luckily NAPA has the fix for both issues. 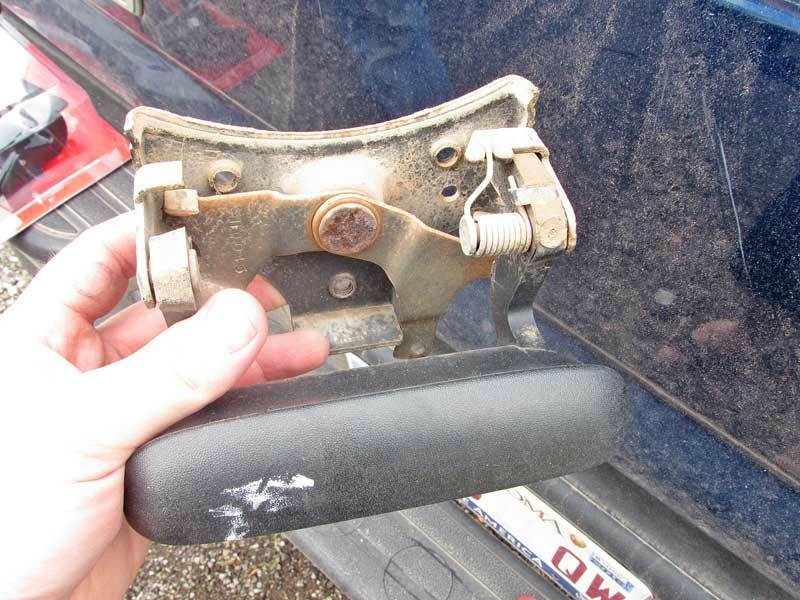 NAPA Solution Parts has replacement handles for all of the most popular trucks on the road. 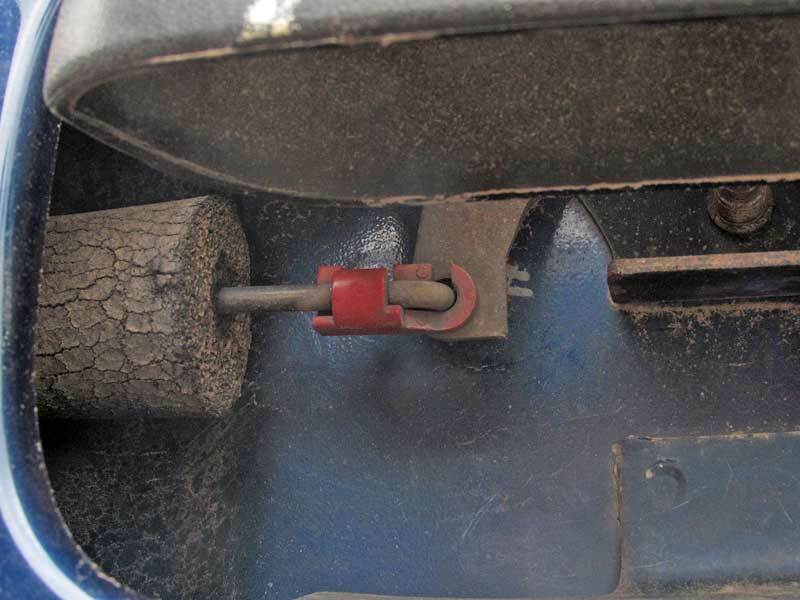 We recently dealt with this issue on a 2002 Chevy Truck. 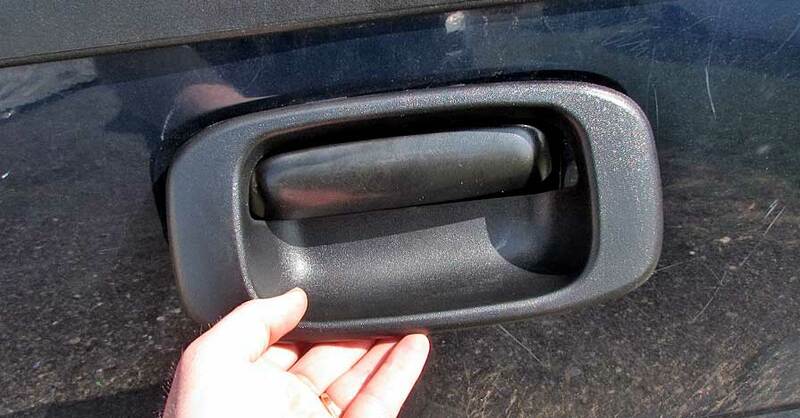 The truck was a recent purchase and the tailgate handle was broken when we bought it. 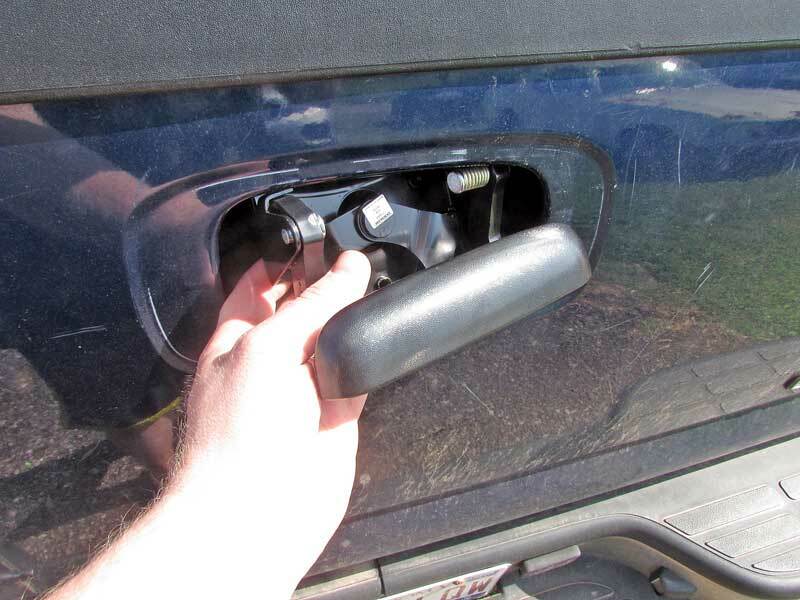 A trip to our local NAPA provided us with a new NAPA Solutions handle and a new replacement handle cover, as the original plastic cover broke when it was removed to open the tailgate. The plastic clips just pop off of the rods, then the rods pulls out of the handle arm. Replacing the handle is easy, just three bolts and a couple of plastic clips that hold the rods that operate the latches hold the handle in place. We unbolted the handle and popped the clips off. This allows us to replace the handle, but what about the latches? If you don’t take care of the latches now, the new handle will just break again down the road. There are three bolts inside the bed that hold the handle in place. 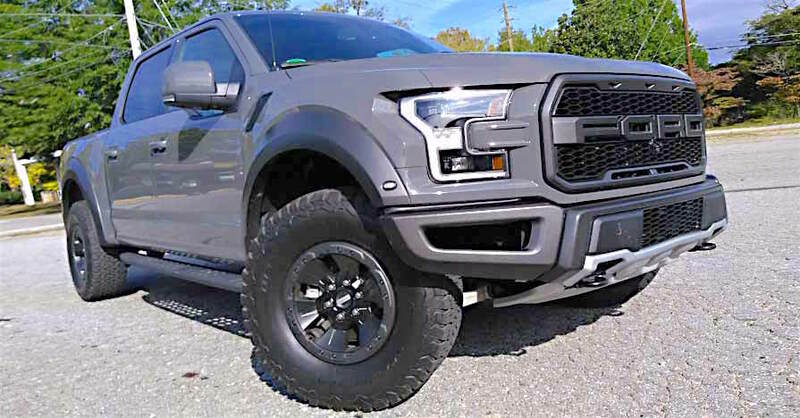 They are metric 13 mm on this truck. You can see the left-side lever is broken, there should be a tab to push on the arm. It is missing. There are two bolts holding the latches in place on each side. 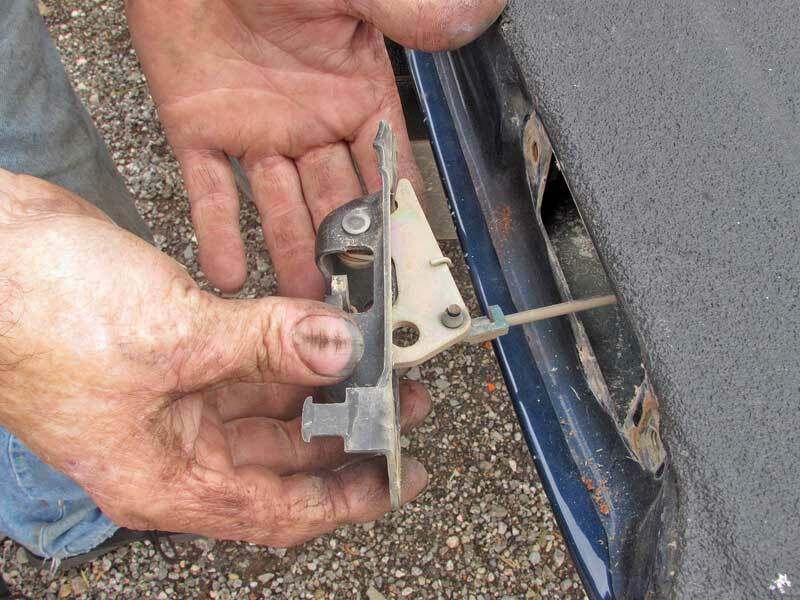 Only remove one at a time, as the tailgate cable has to be removed as well. The latches are the main issue, as they get corroded and dirty. Two bolts hold them in. Only do one side at a time. With the latch out, we used some Slip Plate Black Ice graphite penetrating oil to lubricate the latch. The penetrating oil helps pull the graphite into the inner workings of the latch so that when the oil eventually dries up, the latch will have a protective coating of graphite for smooth operation. The latch is dirty and dry, so we knocked the dirty and crud off of it first. 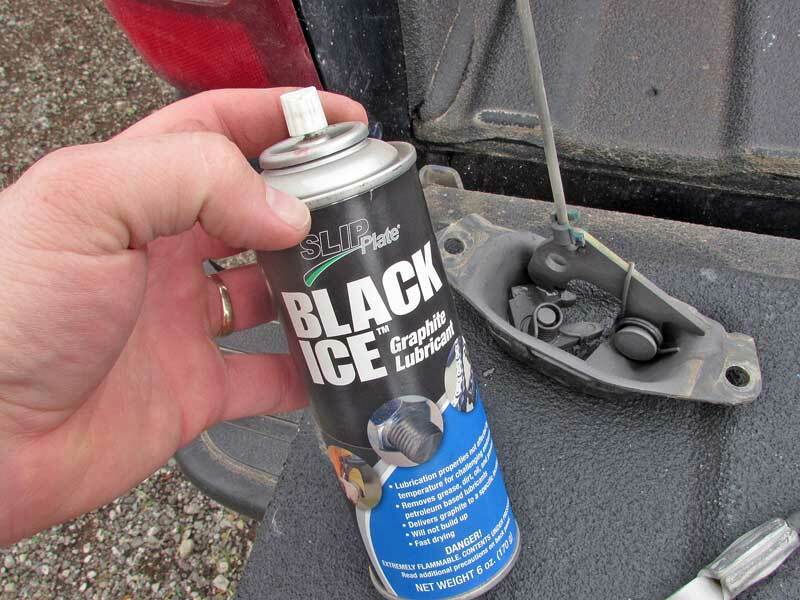 We used Slip Plate Black Ice lubricant to provide long lasting lubrication. 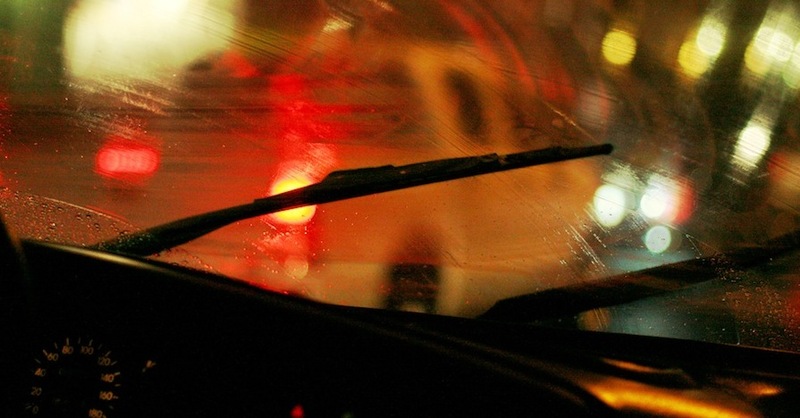 You can use a plain wet lube, but the graphite in Black Ice will last much longer. The latches were reinstalled and the tailgate closed. 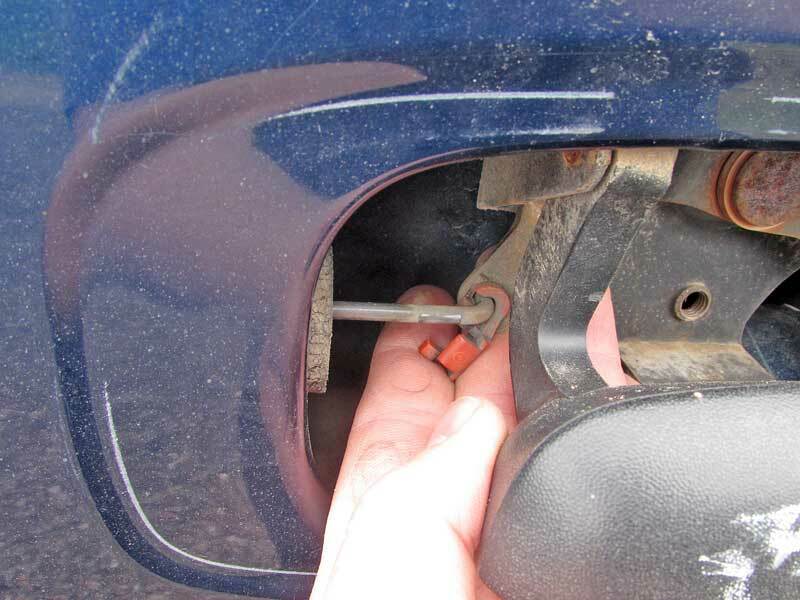 Be sure that the rod does not go behind the handle recess, or you will have to remove it to get the handle attached. When the latches are reinstalled, you have to make sure the rod goes above the recess for the handle, otherwise you will have to pull it out and reinstall it. Next, the new handle was installed using the original hardware. 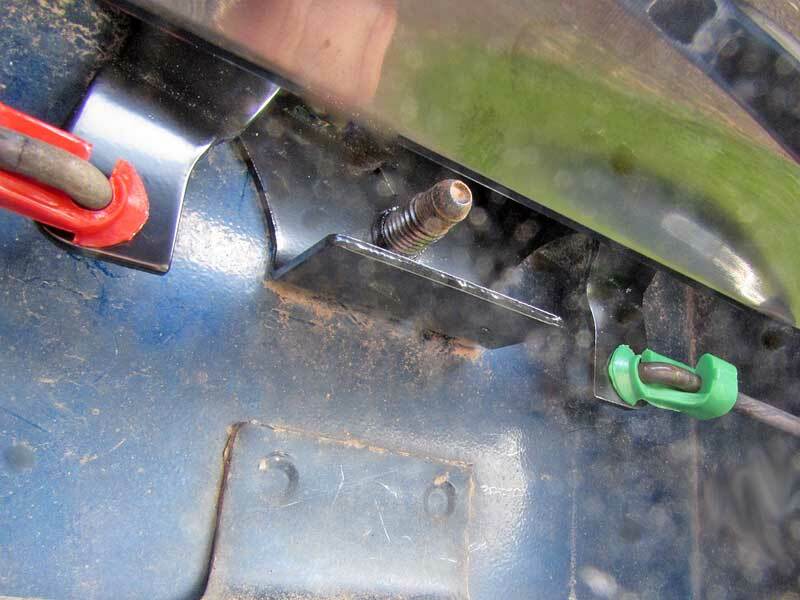 Don’t forget to snap the latch rods into the plastic clips. 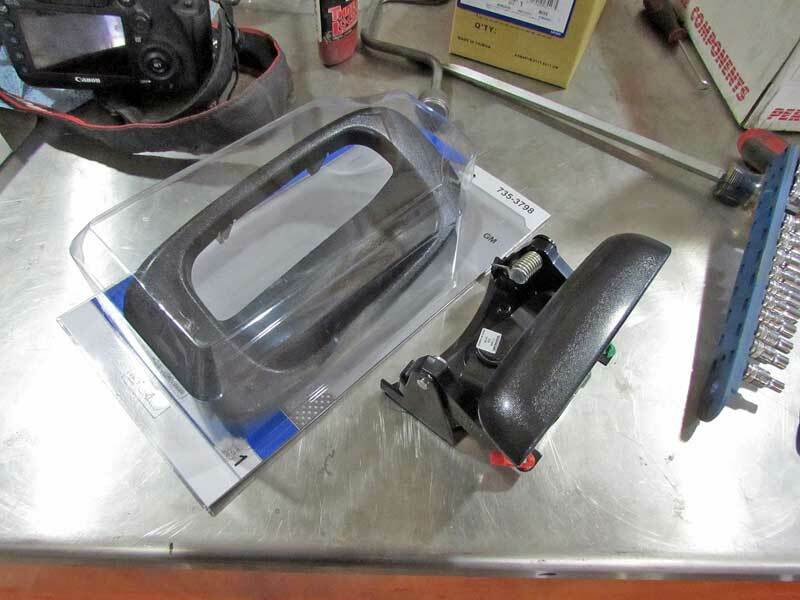 We picked up a new NAPA Solutions handle and trim cover for the truck for a perfect fit. The handle installs just like it came out. Then the three bolts reinstalled and tightened down. Don’t forget to attach the rods to the handle and clip them in. The last step is installing the new plastic cover. If your cover is not broken, then you can reuse it. All four tabs were broken on our cover. We popped the new cover into the hole. All done. Before we repaired it, the tailgate would open, but it took some effort. 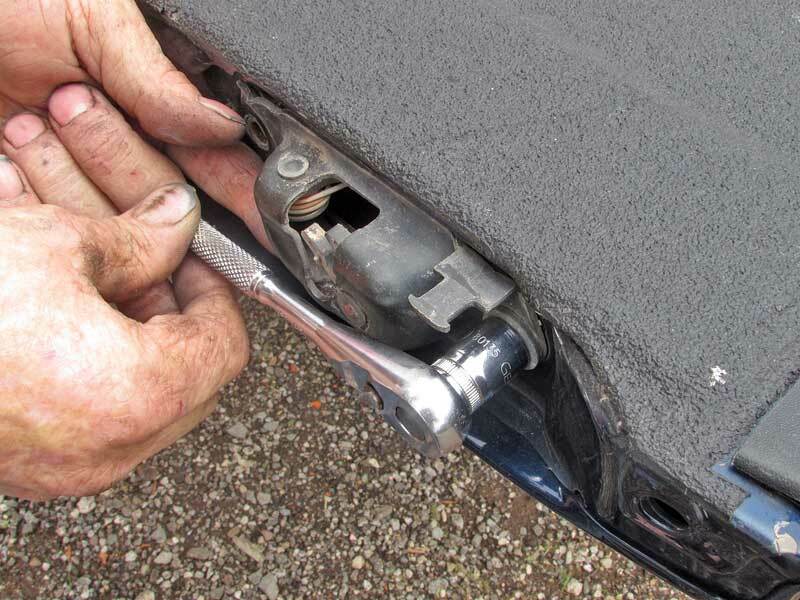 Afterwards, the tailgate latch is smooth as butter. The total repair time is about 15 minutes.